Greetings to all our Calon Lan Centre friends. We just wanted to give you a small Calon Lan Centre update on our recent developments. The Calon Lan Centre is now almost fully restored to being a first class venue. As a result, the chapel is now available for the booking of concerts, and recitals, worship events, weddings and funerals. All of our visitors can feel at home again here in our warm and friendly, traditional surroundings. 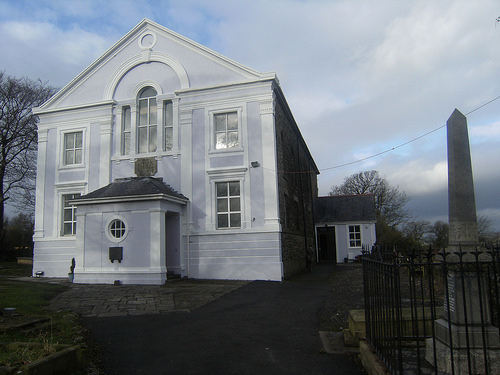 Mynyddbach Chapel is the home of the Calon Lan Centre, and is the oldest non-conformist chapel in Wales. The chapel dates way back to the year 1640 and has such a rich legacy. This is a story that we are only to happy to tell. The chapel’s legacy and cultural significance is such a great reason for its continuing restoration. The Calon Lan Centre is frequently used for TV and audio production purposes. Recently, Bryn Terfel and local male voice choirs have been bringing a beautiful and joyful sound inside the acoustically excellent, quiet location. Mynyddbach Chapel is being used by two faithful congregations who really enjoy their time here. Many “Calon Lan” events are also happening frequently, with visits from local schools, cultural societies, and global visitors. This includes a wonderful recent visit by the Australian Welsh Male Voice Choir, who performed Calon Lan and other anthems. It’s so good to see such an abundance of life being present every day in the Calon Lan Centre. Stay in touch with our developments via this page and our website.